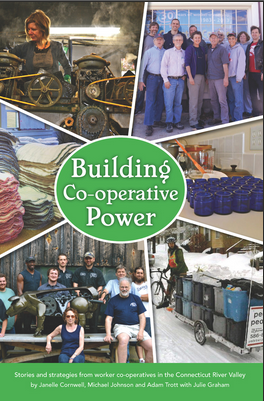 Amherst, MA – September – 2014 – Levellers Press, a worker co-operative, announced the publication of Building Co-operative Power! Stories and Strategies from Worker Co-Operatives in the Connecticut River Valley. 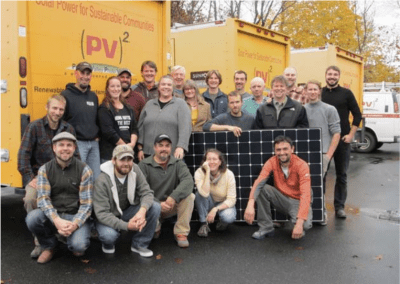 Building Co-operative Power (BCP) introduces the history and concept of worker co-operation and relates past and present stories of worker co-operatives in the Connecticut River Valley. It is grounded in 50 field interviews with former and current worker co-operators and the regional development model of theValley Alliance of Worker Co-operatives (VAWC). This book is a guide and inspiration for building worker co-operatives as well as co-operative economic development through inter-cooperation in any region in this country. The authors describe VAWC’s “everyday vision:” how someday people in their region will be able to go through a whole day taking care of all their needs and desires through a network of co-operative businesses. 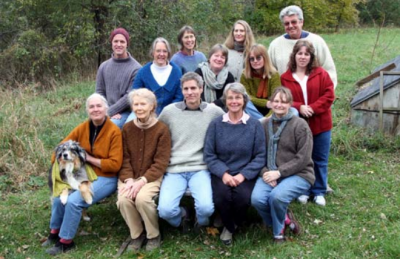 In 2011 they took a major step in this direction by forming the Valley Cooperative Business Association with the Neighboring Food Co-operative Association (a network of more than 20 food co-ops), the UMass Five College Credit Union, and Cabot Creamery. Adam Trott is the Staff for the Valley Alliance of Worker Co-operatives, where he supports, develops and educates about and for worker co-operatives. Adam has been a worker/member of Collective Copies since 2004 – a collectively-managed worker co-op and union shop. He serves on the board of the Co-operative Capital Fund, the Valley Co-operative Business Association, the Co-operative Enterprise Collaborative and the United Electrical Workers for Co-operation.